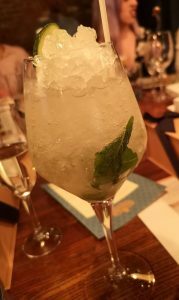 I was chuffed to have been invited to a Blogger Dining Club Event the other week which was held at Banyan Bar & Kitchen in Manchester’s Corn Exchange. 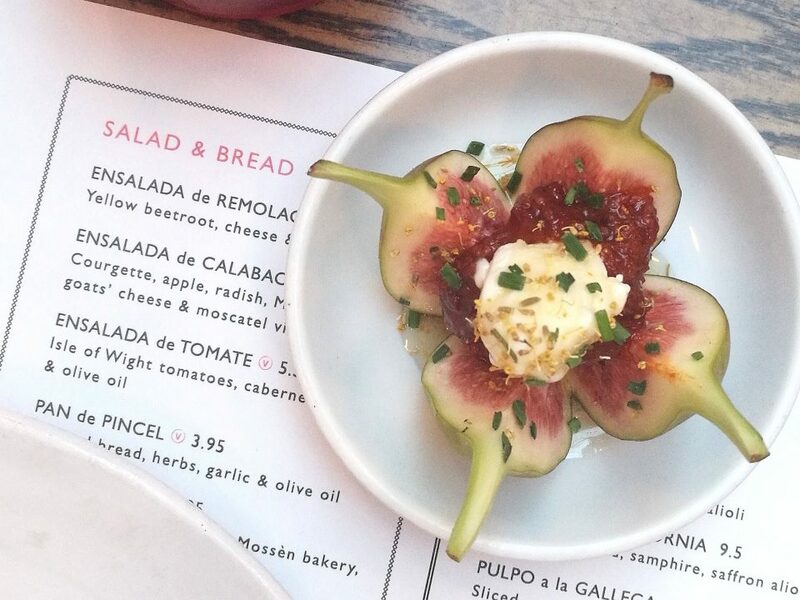 What’s the Blogger Dining Club? The club is has been set up by award winning North West based photographer Georgie Glass who wanted to bring bloggers, restaurants and brands together outside of the M25. You should check out her instagram page here – her shots are AMAZING! 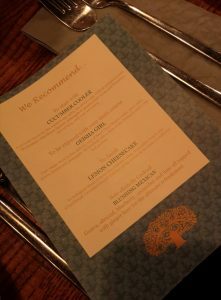 We were brought together to review the launch of Banyan’s new Autumn menu and cocktail menu. I got there early [I know, totally unlike me] and was led downstairs to a private function room which, like me, if you are into industrial chic interiors you would love! The room was dimly lit, there were nods to nature on the walls and with bamboo hanging egg chairs and wooden swing benches. One wall was even made from rocks in wire cages, yet the table, chairs and lighting all had an industrial feel. I was greeted with a glass of prosecco [which I took a few sips out of – I was driving!] and started mingling with the other guests. 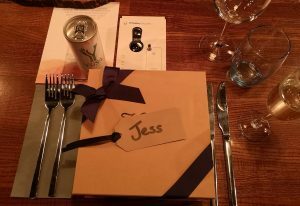 The table was set with our gifts from the sponsored brands which was very exciting. 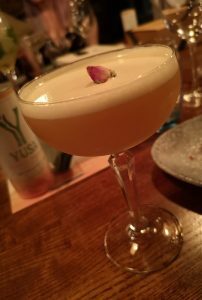 We were gifted a new product from Yusa Drinks which is the UK’s first Amazonian ‘energy tea’ containing a plant extract that contains more caffeine than coffee – Guayusa. I’ll be honest though, I have not tried it. I’ll be giving it to my very tired husband because too much caffeine does crazy things to me but it sounds really tasty and being all natural is a good thing! We were also gifted some fantastic products from Kiehls. I have been a fan of theirs for a while – actually, my younger sister introduced me to the brand – and these samples have come at a perfect time for me to take them away on holiday. I’m particularly looking forward to using the night time oil and getting some nourishment into my skin! I was so impressed with the food. I haven’t eaten at Banyan before so didn’t really have any expectations but I was pleasantly surprised. Oo this was a tasty one but difficult to eat. I tried picking it up and biting down into it but it was not very lady-like [coz I am a lady] and I may have lost a couple of bits of beetroot to the floor via my new snake skin printed skirt. Hmm. Once I did get a try, I have to say it was delicious. 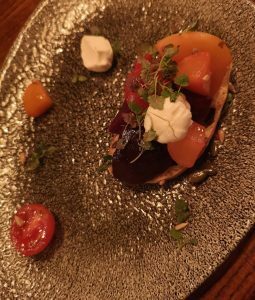 Earthy but slightly pickled beetroot with soft goats cheese. Heaven! Oh actually, I think to make it even better I would add a bit more goats cheese but this is coming from a goats cheese obsessive! This smelled lush. It was a piece of smoked haddock on top of buttery leeks and new potatoes, with a runny egg on top! Sublime! 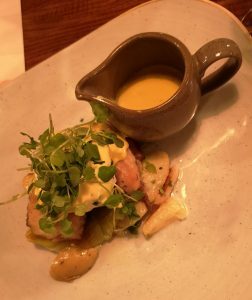 The hollandaise was lovely too and provided that acidity that was needed to cut through the richness of the smoky fish. I think this was my favourite course! 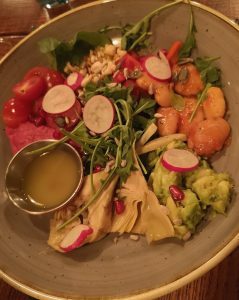 The other dishes on offer at the launch was the yoga bowl – which looked mega healthy and I was told was good and the thai red curry which smelled delicious! Yep. I am a dessert kind of gal. My tray [ha] was served with two apple and [I think] strawberry crumble pies – which had such a tasty pastry – along with a shot glass of custard; two cherry and chocolate brownies and a cheesecake with a berry compote on the top. I ate it all. JOKING. I took more than half of it home to eat with Kristian the next day. Nom nom. 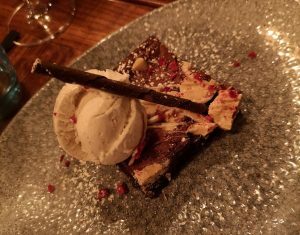 A pic of the chocolate brownie – mine was smaller! N.B. I’m not sure how extensive their vegan, gluten free, dairy free choices are though so I would always check this out if you are thinking of going and one of your party has intolerance issues. Oh yes. These were good. Banyan had actually taken the trouble to concoct a flight of cocktails to go with each course of our meal. Now, obviously I had to stick to the non alcoholic drinkies but I was able to have a cheeky sip of a few of them to try! 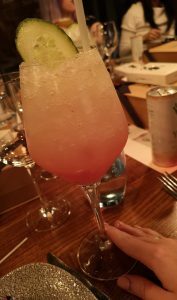 My non alcoholic drink was titled ‘The Blushing Mexican’ and it was really refreshing. It had a lot of ginger in it – which I can be funny with sometimes but this was good! I got to try the Cucumber Cooler which I would definitely have had a few of and also the Geisha Girl cocktail. I have been to Banyan before but we only had drinks. 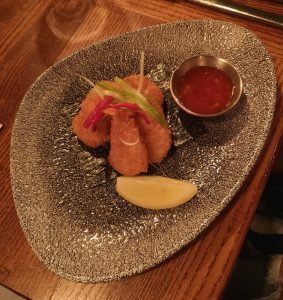 I knew that the atmosphere in the place was good – the night we went it was heaving and they played good background music. But I was really impressed with the food. 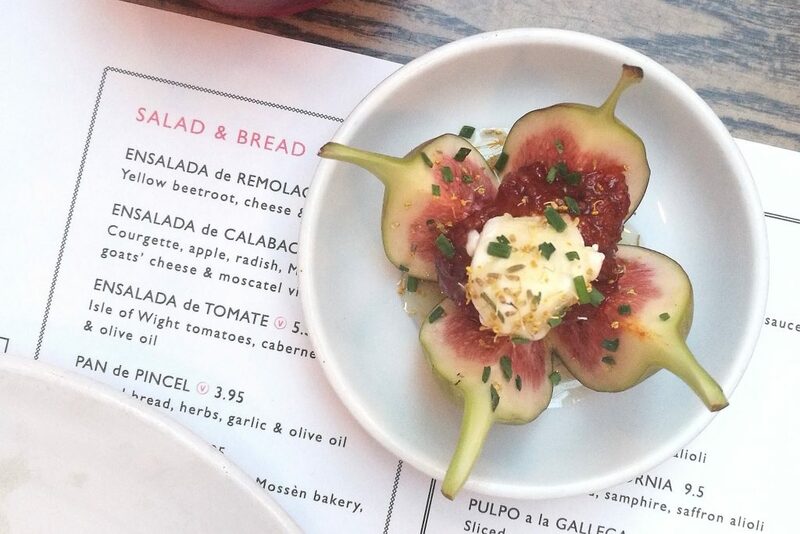 The dishes were presented to a really high standard and they tasted delicious! I’d definitely go again – possibly as a foursome with a couple of our good friends. It’s situated in a really good place too so afterwards you have the choice to stay for more drinks or visit the other bars in the area.